The Princi Glicine Bag is made of padded Lycra, has reinforced handles in rubbery fabric, a reinforced bottom, metal bag-saving supports, internal closure with metal accessories nichel free, external closure with magnetized elastic and the iconic rubbery fabric detailing with logo. 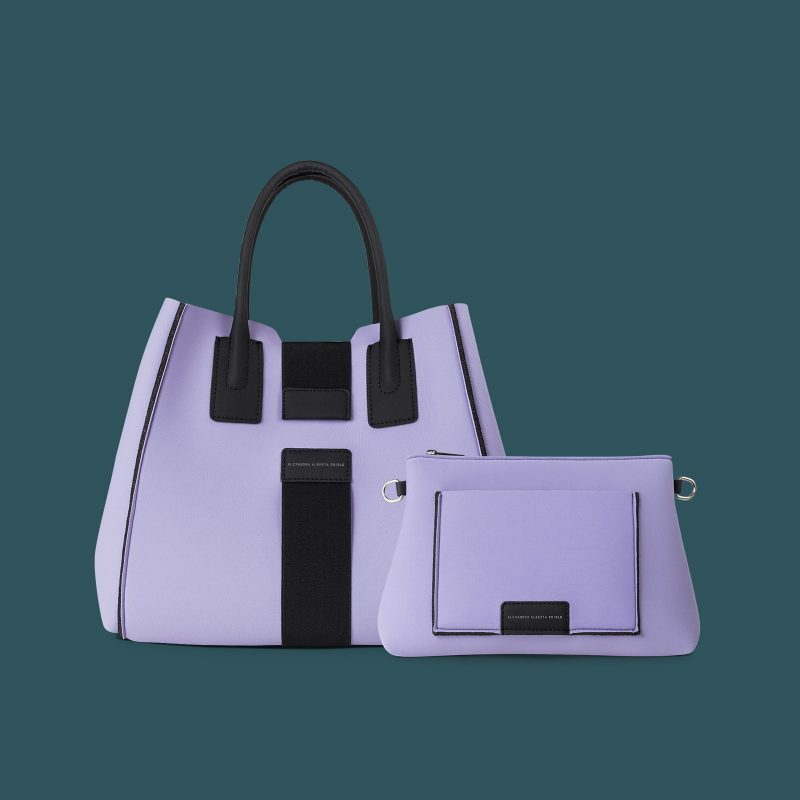 In addition, it contains an organizer which can be carried separately thanks to the shoulder strap. 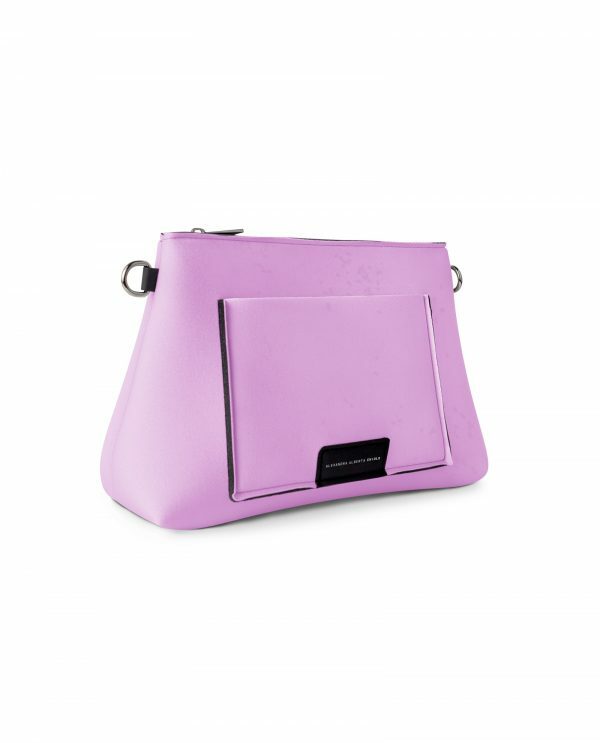 The Glicine color Bag is 100% Made in Italy, lightweight, rainproof and washable by hand in cold water. 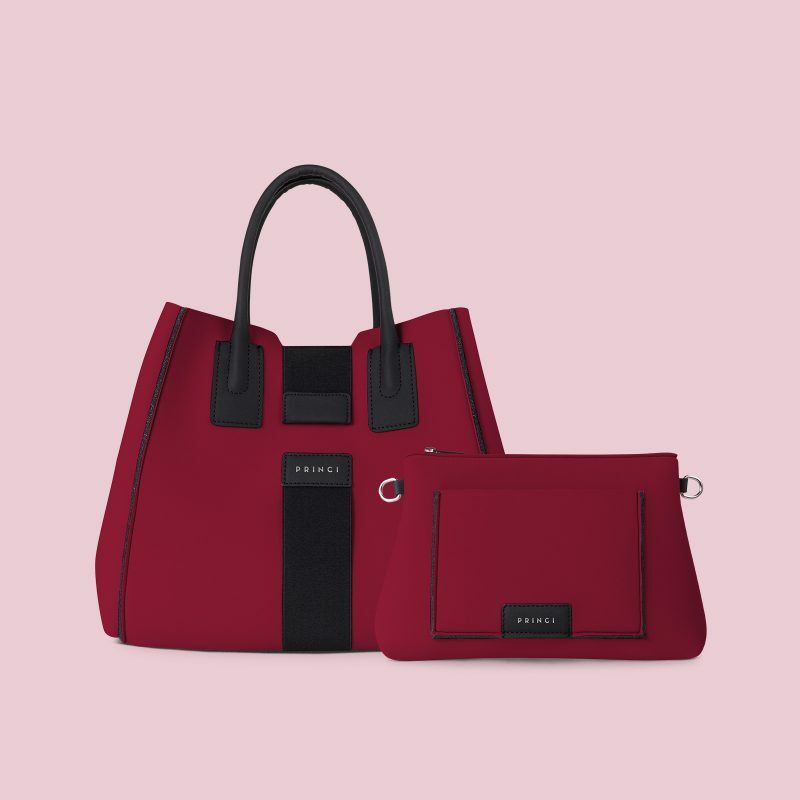 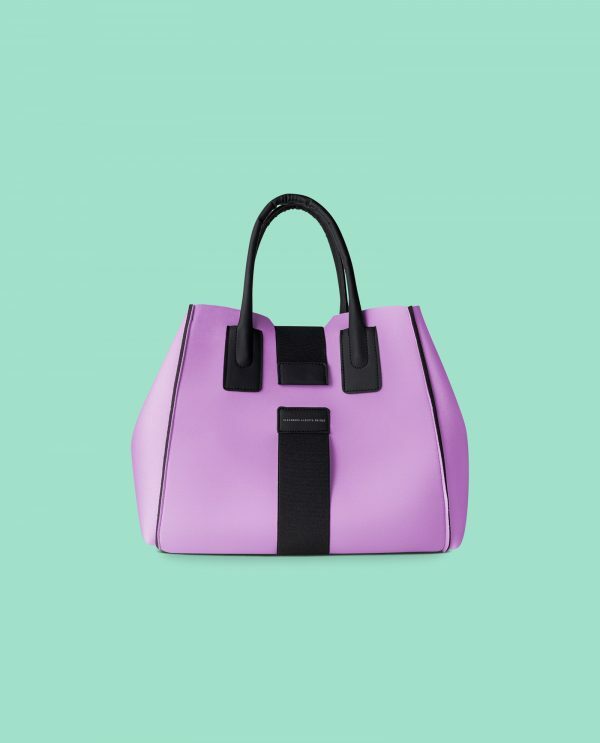 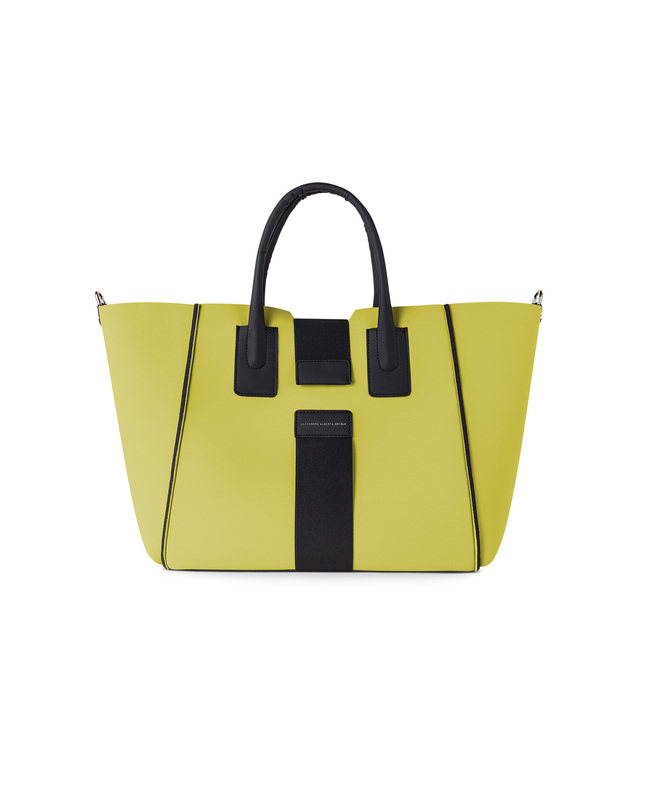 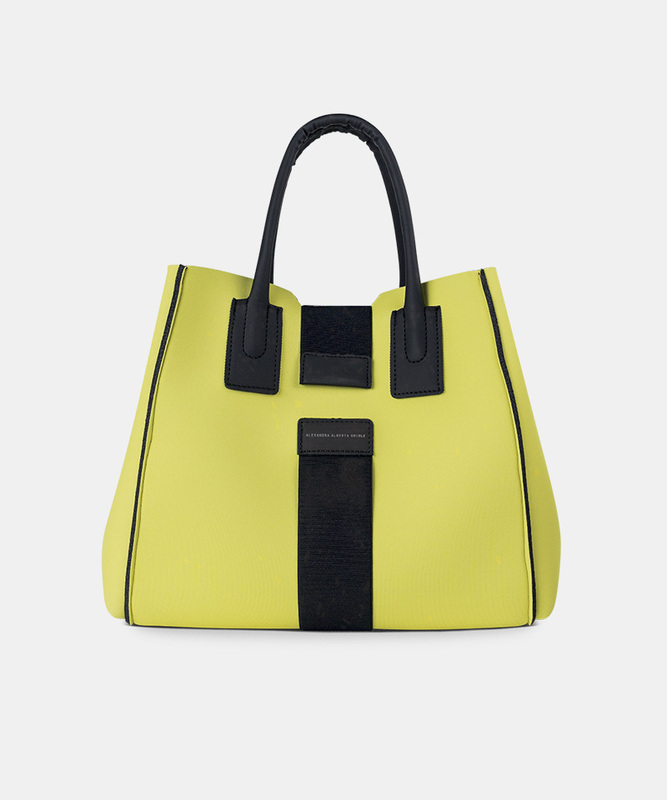 The Princi Bags are made of padded Lycra and are very light – 440 grams only – with an inside organizer of 160 grams. 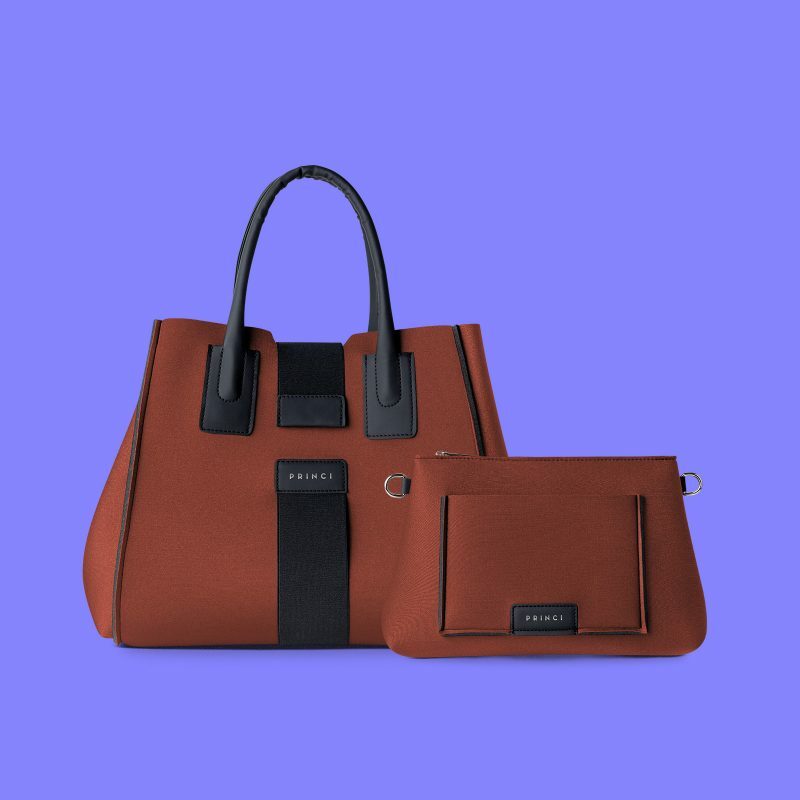 Bright texture and silky touch, the Metal finish combines minimalist products with an unusual chic look, making them perfect from morning to evening. 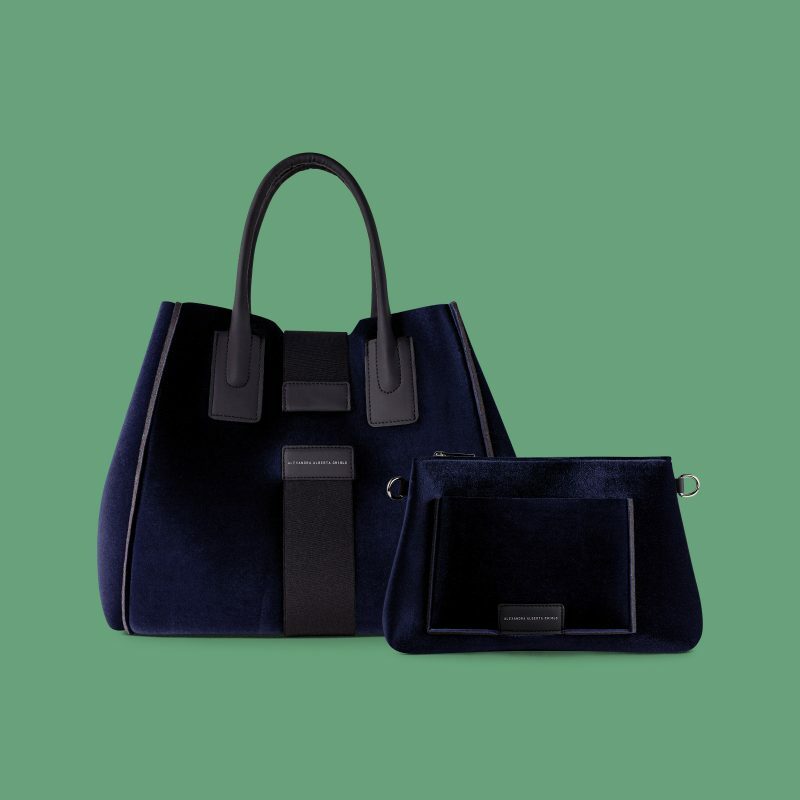 The Princi Bags, like all the creations made by Alexandra Alberta Chiolo, are and always will be made in Italy. 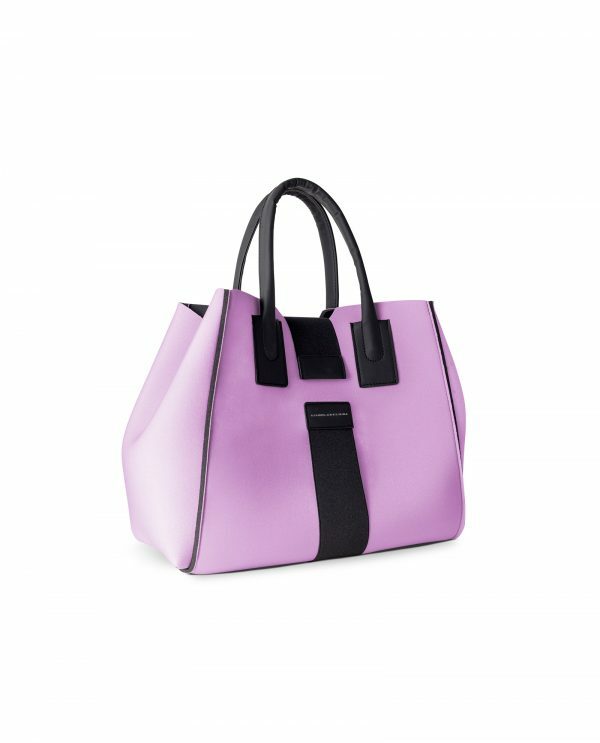 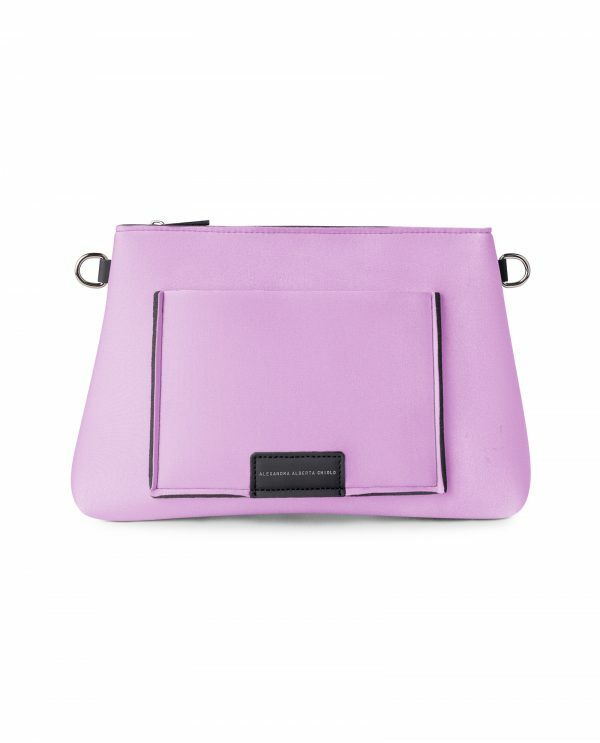 The Princi Bags are available in more than 20 colors. All Princi products are not afraid of bad weather because they are totally rainproof. 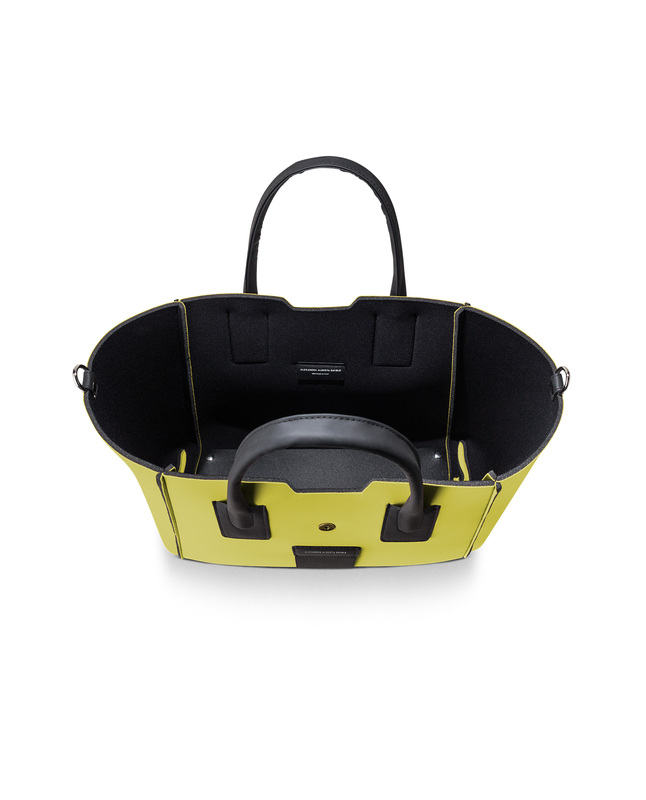 All metal accessories used on Princi products are nickel free and therefore non-allergenic. Never forget to smile, take a bag and go to meet the world!